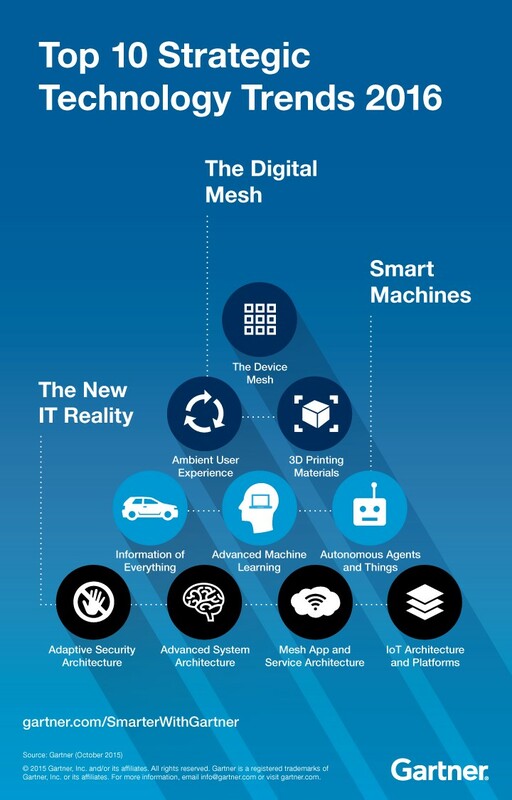 The first three trends address merging the physical and virtual worlds and the emergence of the digital mesh. While organizations focus on digital business today, algorithmic business is emerging. Algorithms — relationships and interconnections — define the future of business. In algorithmic business, much happens in the background in which people are not directly involved. This is enabled by smart machines, which our next three trends address. Our final four trends address the new IT reality, the new architecture and platform trends needed to support digital and algorithmic business. See their press release for more definition and detail.